My first time exploring Stonehenge!! One of my first great adventures was exploring England, nearly ten years ago. 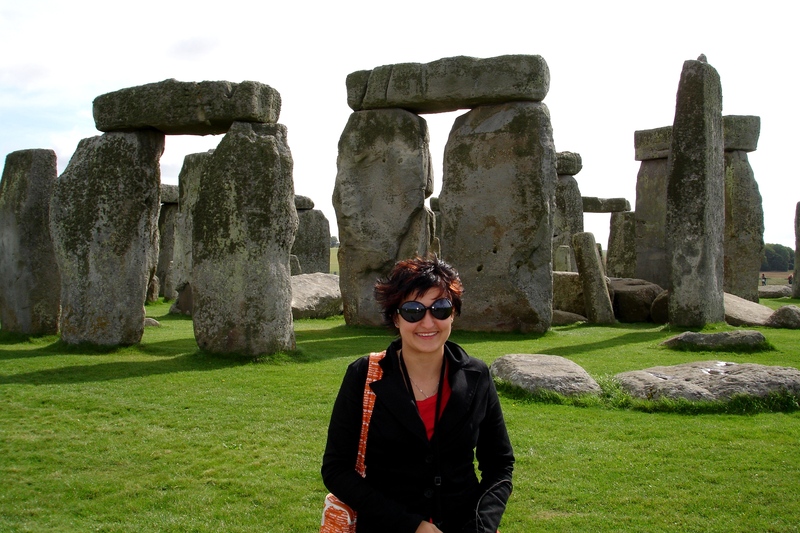 Very high on my England Travel wish-list was definitely the much speculated about Stonehenge. It is one of the mystical places where it seems nobody actually knows what it was used for or by whom it was built. It is surrounded in mystery and your imagination can run wild with all the different stories about Stonehenge out there. Stonehenge is a prehistoric monument in Wiltshire, England and undoubtedly one of the most famous sites in the world. Stonehenge is the remains of a ring of standing stones Archaeologists believe was built anywhere from 3000 BC to 2000 BC. As we approached Stonehenge we could actually see it from the bus as the main road actually passes right by it. This was very disappointing as it took a bit of the magic away for me. I imagined walking across a green field with Stonehenge in the distance. surrounded by nature and quiet. As a child I used to spend hours watching Asterix and Obelix and in my mind they are synonymous with the magical Stonehenge found in the South West of England. As I walked around the massive stone obelisks I could almost imagine a Druid lurking somewhere between these huge rocks. I read somewhere that Stonehenge appeared due to the druids that used it as a sacrificial temple for making their gory rituals. It was one of the first visions disproved with the development of the science and technologies but I still like the idea. 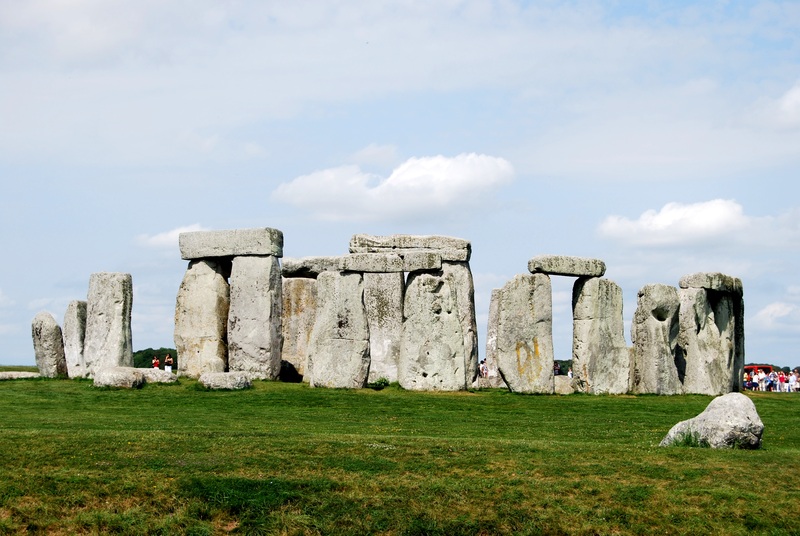 Wild theories about Stonehenge have persisted since the Middle Ages, with 12th-century myths crediting the wizard Merlin with constructing the site. More recently, UFO believers have spun theories about ancient aliens and spacecraft landing pads. 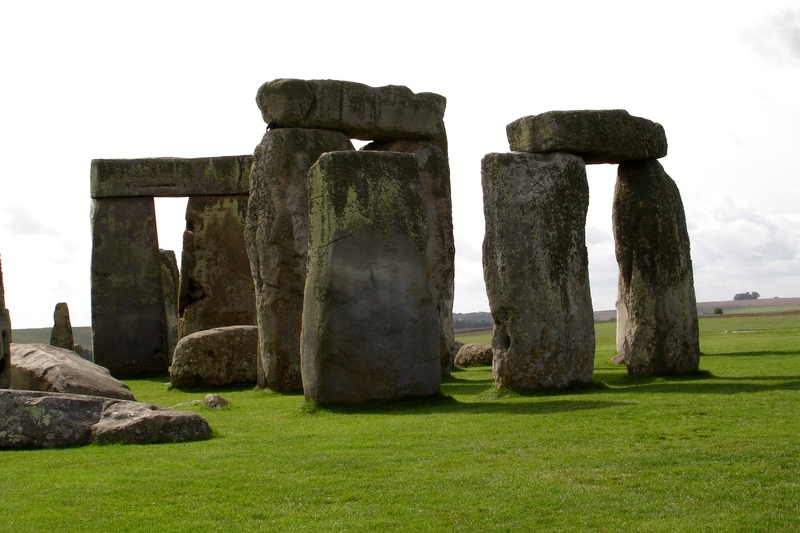 Here are five major (and not necessarily mutually exclusive) reasons Stonehenge might exist. Stonehenge, a place of magic and mystery! 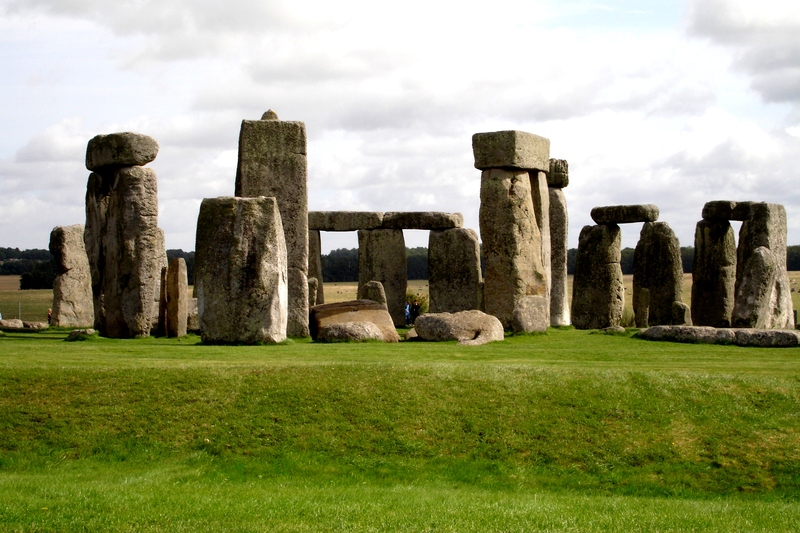 Stonehenge may have originally been a cemetery for the elite, according to a new study. 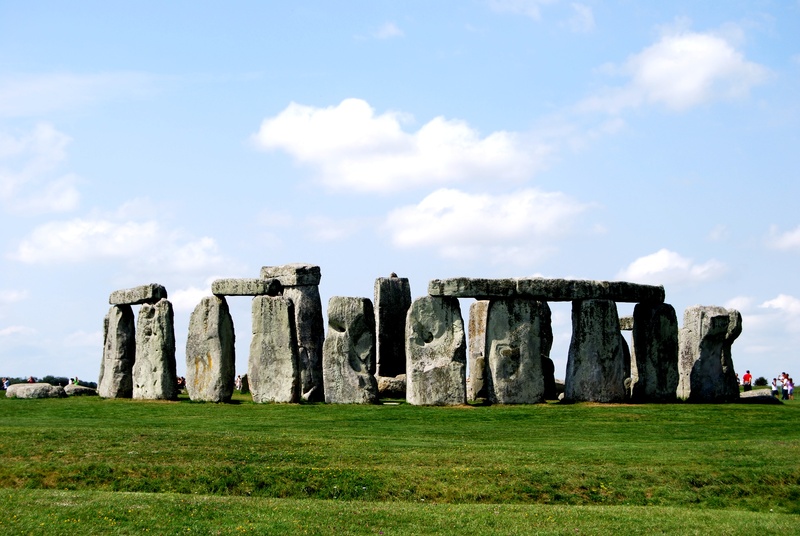 Bone fragments were first exhumed from the Stonehenge site more than a century ago, but archaeologists at the time thought the remains were unimportant and reburied them. 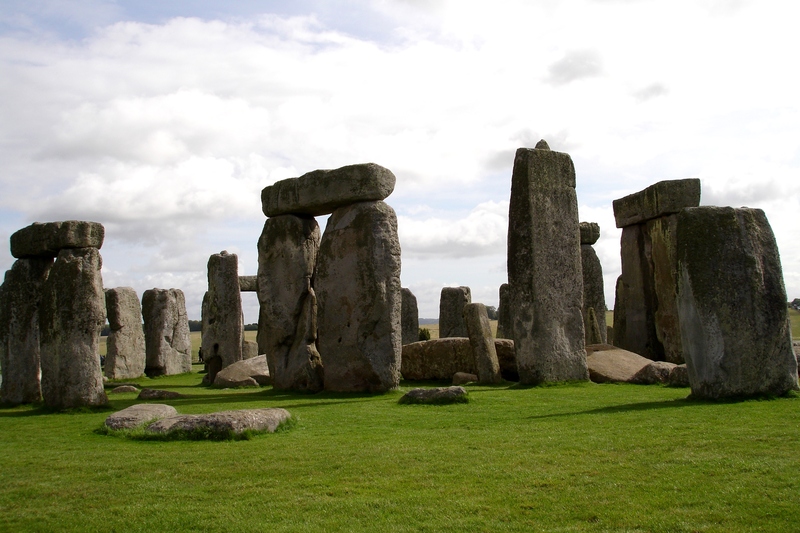 Now, British researchers have re-exhumed more than 50,000 cremated bone fragments from where they were discarded, representing 63 separate individuals, from Stonehenge. Or perhaps Stonehenge’s circular construction was created to mimic a sound illusion. That’s the theory of Steven Waller, a researcher in archaeoacoustics. Waller says that if two pipers were to play their instruments in a field, a listener would notice a strange effect. In certain spots, the sound waves from the dual pipes would cancel each other out, creating quiet spots. The stones of Stonehenge create a similar effect, except with stones, rather than competing sound waves, blocking sound. No matter why it was built, Stonehenge may have been constructed with the sun in mind. One avenue connecting the monument with the nearby River Aven aligns with the sun on the winter solstice; archaeological evidence reveals that pigs were slaughtered at Stonehenge in December and January, suggesting possible celebrations or rituals at the monument around the winter solstice. The site also faces the summer solstice sunrise, and both summer and winter solstices are still celebrated there today. Or perhaps Stonehenge was something like an ancient team-building exercise. According to the University College London’s Pearson, the beginning of the site’s construction coincides with a time of increased unity among the Neolithic people of Britain. Perhaps inspired by the natural flow of the landscape, which seems to connect summer solstice sunrise and winter solstice sunset, these ancient people may have banded together to build the monument, Pearson suggested in June 2012. Beautiful spot! Thanks for sharing! You are welcome! It is an amazing place to see in person. Can you imagine that? Same time as the Great Pyramids of Egypt. You know, Mel had never touched (not that we can really do that) Stonehenge though Suan have, and twice! I would also lov e to visit this place again. Sometimes the first visit to a place is a bit overwhelming….and it is only at the second visit that we get to really experience the place. PS: will see if I get away with touching it…..
A bucket list place for me. Should be included in everyones bucketlist!! very mysterious! great post and photographs as always! A wonderful place to stay…I’ve been there several years ago. Oh wow, thank you! I have not been yet but Sweden is very high on my travel wish list!! The fact that the theories will never be proved, is the allure of these ancient sites. Lovely post Janaline. I agree Madhu, it keeps the magic flowing! Eventhough a bit of the magic is taken away by the road it is still a fabulous experience walking around these huge stones….you imagination can run wild! What a wonderful post, Janaline! The content -both photos and text- is superb. Thanks for sharing! Thanks for that lovely compliment! I am so glad I could share this amazing experience with you all! I agree Resa, it was an amazing experience! Thank you!! I find these places of “mystery” so interesting and always have so much fun reading about the different theories that people come up with for their existance. Now that would have been some team building exercise! I had never heard that theory. Wonderful photos as always. That theory definitely made me laugh….I am so glad I was not part of that team!! It must be humbling to enter such an incredible combination of the link between nature and human nature. Nice set of images and text. Thank you and yes, it was definitely an amazing experience. It makes you think a lot about how there are these huge parts of our history that seem to have gotten “lost” and we will never really know what happened or why these structures were built. Thank you so much Rusha! I definitely had such a great time and asked some random people to please capture me on film as proof that I was actually there!! My daughter and her school group went but she threatened to disown me if I came as a chaperone 😉 This is definitely on my bucket list! Its only when we are older that we apreciate the time we get to spend with our parents…..if you wait a couple of years she will hopefully welcome your company! Would love to visit there one day. I hope so….the place holds so much mystery….. I do hope you get to see these amazing places, it is truly magical to stand right next to them and see them up close. Places like this hold so much mystery & truly fascinates us! We thought it was disappointing too that Stonehenge is visible from the road but walking around it is a pretty special experience! 🙂 Great post! I agree…..in my mind it should be hidden away and you should “discover” it not see it from the bus window before you even come to a full stop. I feel really strange being english, knowing how to get to this in my car, and learning all about it in school, yet in still haven’t been. Got some great photos again! Sheri like the different theories, really good read. Thanks! I think you should definitely go on a road trip and explore a bit….its always fun and you get to see so much you didnt even realize there was to see! Thank you! I would love to visit it during winter someday and see these huge stones in a field covered in white snow! No matter what the reason for it, Stonehenge is a wonder! I like the idea of solstice celebrations and would love to witness one there some day…and to visit any of the other ancient stone circles of Britain or even in France. Thanks for the photos, they’re great! Thanks Gayla! I agree, it is a magical place eventhough we dont know the reason for its existance. I havent been there for a long time but it IS a magical place. The last time I was there you could still walk among the stones and touch them. It’s a shame they roped it off, but they were worried about vandalism, wear and tear etc.. I can just think that after a while there would be nothing left as everyone would want to touch the huge stones……well I would have loved to do that myself.